A ship built 28 years ago has triumphed over newer, shinier vessels packed with modern facilities, in a poll to find Britain’s most popular cruise ship. Thomson Spirit came top in the mid-sized category of the first Cruisers’ Choice Awards organised by the Cruise Critic website, which has 700,000 members and contains 70,000 ship reviews. The 1,250-passenger ship, launched in July 1983, beat the likes of Fred Olsen’s Balmoral and P&O’s Oriana in the votes cast by UK cruise passengers for ships carrying between 1,000 and 2,000 passengers. It was voted best overall and best for dining, entertainment, service, shore excursions, and crucially, value-for-money. International winner in the mid-sized category was Island Princess, while in the large ship class, Oasis of the Seas swept the board as best overall for international and UK passengers. In the UK poll it was voted top for cabins, dining, embarkation entertainment, value, fitness and public rooms. Oasis, launched by Royal Caribbean less than two years ago, carries more than 6,000 passengers at a time. 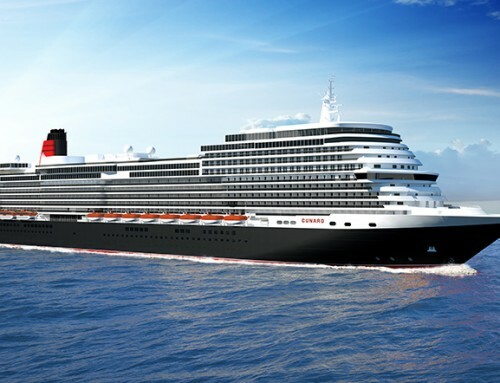 Spencer Brown said the vessel has confounded those who said the mega-ship, floating resort experience would be a turn-off for cruise passengers and could not deliver on quality. “Oasis is providing a winning formula and truly exceptional levels of quality,” she said. Azamara Journey and sister ship Azamara Quest – the only ships in the Azamara Club Cruises fleet – claimed the top two places in the small ship category. Spencer Brown said they evoked a bygone era of elegant cruise liners “which struck a chord with British passengers, especially seniors. Large ships: Oasis of the Seas (Royal Caribbean); Celebrity Eclipse (Celebrity Cruises); Independence of the Seas (Royal Caribbean); Queen Victoria (Cunard); Grand Princess (Princess Cruises). Mid-sized: Thomson Spirit (Thomson); Celebrity Century (Celebrity Cruises); Splendour of the Ses (Royal Caribbean); Thomson Destiny (Thomson); Balmoral (Fred. Olsen). Small: Azamara Journey (Azamara Club Cruises); Azamara Quest (Azamara Club Cruises); Pacific Princess (Princess Cruises); Braemar (Fred. Olsen); Marco Polo (Cruise & Maritime Voyages). But these results reflect a specific demographic. Can one seriously say that Thomson Spirit and Fred. 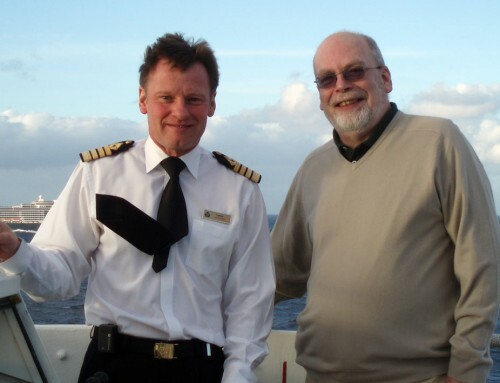 Olsen ships offer better standards of service, dining and accommodation than Regent Seven Seas, Seabourn and Silversea? Of course not. The results of the survey reflect the mid-market/budget end of the cruising spectrum – OK, so Cunard got a look in – and so the results are skewed to reflect the demographic, and the wallet, of those people. All the ships in the three “luxury” lines mentioned are under 50,000gt and none carries more than 700 passengers, mostly far fewer, thus the number of passengers travelling on these lines is, in aggregate, far smaller. Moreover, they typically don’t participate in cruisecritic (or other) on-line opinion polls. Thus the results of the survey should be interpreted for what they reflect: the views of a limited sector of the cruise industry guests, not a real-world ranking of quality. I sailed on the Queen Victoria in Jan from UK to NY. Don’t waste your time or money. Cunard is run out of a dreary suburb in Los Angeles. It is total hype. Avoid Cunard like the plague.